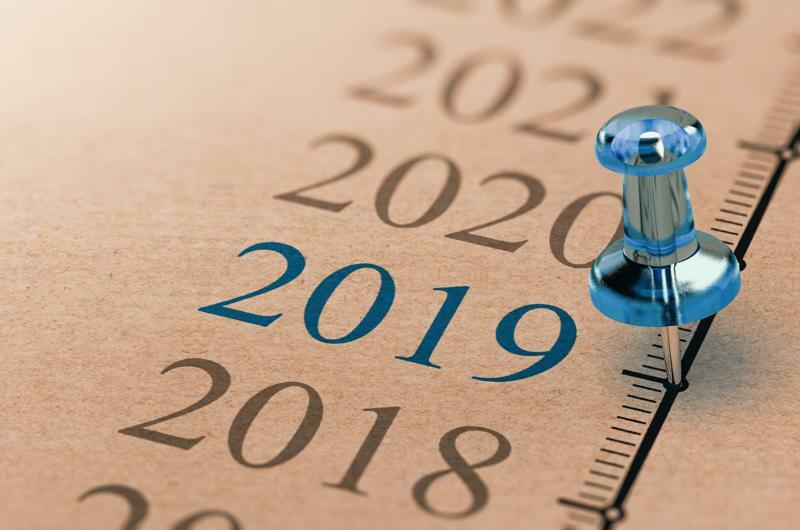 In 2018 we advised some forty companies on a variety of M&A and corporate finance projects. Among them were five important transactions, detailed below. We look forward to keeping an active dialog with you this year, and hope that you will think of us in the event you or one of your clients might require our services. The sale of Lux Home, an exclusive northeast distributor of Pella window products, to their primary supplier, Pella Corporation. Founded in 1953, Lux Home is a leading distributor and installer of Pella windows and doors for select areas of New Jersey and New York. The Company serves both residential and commercial clients through its five showrooms and two office locations. Lux Home is headquartered in West Caldwell, New Jersey and employs over 145 individuals. Founded in 1925 and headquartered in Pella, Iowa, Pella Corporation designs and manufactures made-to-order and custom windows and doors. Pella operates 11 manufacturing facilities across the United States and employs over 7,000 individuals. Products are sold through company-owned or independent showrooms across the country. The acquisition of ANCO Fine Cheese by Atalanta Corporation, a specialty food importer and long time client of the firm. Atalanta Corporation is a food importer specializing in cheese, charcuterie, deli meat, grocery and seafood products from around the world. Founded in 1945, Atalanta is the largest privately held food importer in the US. Based in Elizabeth, NJ, Atalanta is part of the Gellert Global Group, a leading food enterprise with over $1.1 billion in sales, serving all facets of the US food industry, including manufacturers, retailers, food service distributors, restaurant chains, grocery chains and cruise lines. The All Nations Cheese Organization (ANCO Fine Cheese), formerly a business unit of Schratter Foods, Inc., is one of the largest and broadest specialty cheese importers in the US, offering a unique product line from more than 20 different countries. The sale of a division of Precision Custom Coatings in Hong Kong, Precision Interlining, to Chargeurs Fashion Technologies. Precision Interlining is the global partner of choice among top US fashion and apparel companies, offering a wide array of woven, knit, and nonwoven interlinings as well as other performance materials. Precision Interlining generates annual revenues of $80.0 million and EBITDA of $8.8 million, while employing 300 people in more than 10 countries worldwide. Chargeurs Fashion Technologies is the world’s second largest interlinings manufacturer, serving leading apparel brands worldwide. Its parent company, Chargeurs SA (EPA:CRI), is based in Paris, France and operates through four segments: Fashion Technologies, Luxury Materials, Protective Films, and Technical Substrates. The acquisition of Budzar Industries, a manufacturer of custom temperature control systems, by Multistack, a manufacturer of modular chillers and heat exchange systems. Founded in 1989 by three former Trane Company executives, Multistack has become the preeminent manufacturer of modular chillers and other heat exchange systems used in the climate control of commercial HVAC and process applications. Multistack prides itself on providing innovative cooling solutions and unparralleled customer support. Multistack employs over 170 people and operates out of a 245,000 sq. ft. facility in Sparta, WI. Multistack also owns Standard Refridgeration and Desert Aire, Corp., a manufacturer of refridgeration-based dehumidification and indoor air quality solutions based in Germantown, WI. Since its founding in 1976, Budzar has been providing custom temperature control systems for process industries including rubber and tire manufacturers, pharmaceutical and specialty chemical producers, and plastics processors. Budzar is known for its innovative and reliable temperature control units and exceptional customer service. Budzar employs over 130 people across its two facilities located in Willoughby, OH and Jiaxing, China. The sale of Sabra, purveyor of hummus, dips and spreads to Pacifica Foods, a custom manufacturer of soups, sauces dressings and salsa. Sabra, a joint venture between PepsiCo and Strauss Group, makes Americ’as best-selling hummus and sells refrigerated dips and spread in North American. The sale of Sabra’s salsa business includes the Sanra Barbara and Chanchies brands, as well as the manufacturing facility in Oceanside, CA. 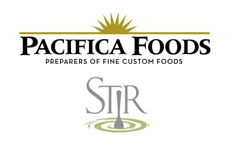 Stir Foods and Pacifica Foods is a custom manufacturer of soups, sauces, dressings, and fresh salsas for both retail and foodservice customers. Founded in 2000, the company is headquartered in Orance County, CA. Stir Foods and Pacifica Foods is a portfolio company of Wind Point Partners, a Chicago-based private equity investment firm. New York City based EnergyWatch, LLC ("EW") makes energy data management and monitoring easier by offering advanced analytics in a centralized platform enabling consolidated invoice management, budgeting and budget variance analysis, sustainability reporting, as well as portfolio comparisons and industry benchmarking. Big food has struggled to keep up with recent shifts in consumer taste. Tepid sales growth and languishing product lines serve as a stark contrast to new food & beverage companies and brands that seem to emerge overnight. As new leaders in food & beverage, young brands have not just kept up with consumer trends but have anticipated and helped mold them. Not surprisingly, the large food companies of the world have taken an interest in these disruptive businesses. The Corporate Fuel Waste, Recycling, and Clean Tech Group: dedicated to helping our clients realize the full value of their businesses.